Mark Cohen is a leading expert on environmental regulation and disclosure policies, as well as corporate crime and punishment. His extensive career in academia and the private and public sectors has seen him publish over 100 articles and books on a wide variety of topics, serve in several capacities within the Federal Government, and consult with major corporations. Professor Cohen’s 2001 paper with Shameek Konar – Does the Market Value Environmental Performance? – was cited as one of the 75 seminal and most influential articles in the field of Business and the Natural Environment. 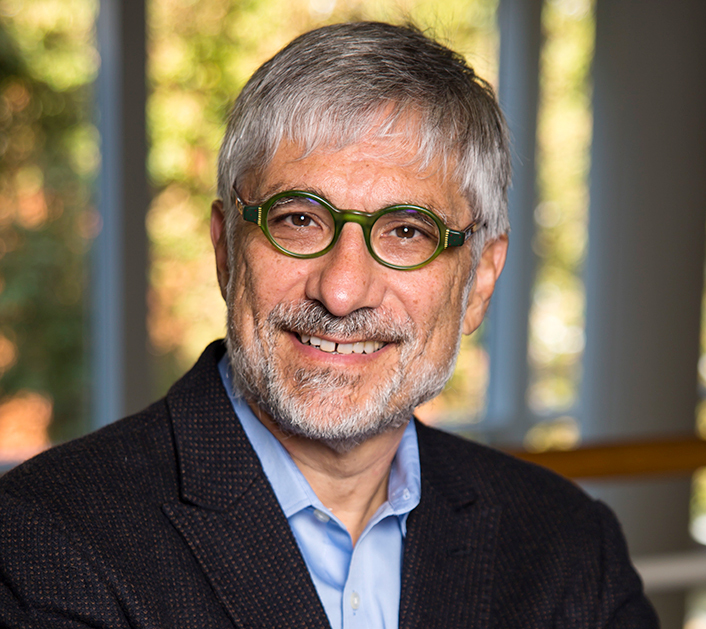 At Vanderbilt, Cohen teaches Corporate Strategies for Environmental, Social & Governance (ESG) Issues; Financial Analysis of ESG Data; The Future of Energy Markets in a Low Carbon Economy; Law and Business of Climate Change; and an international project course, Doing Business in Israel. Professor Cohen’s research tracks are extremely diverse. Themes broadly focus on law and economics - including environmental and criminal justice issues, with topics including why firms reduce toxic chemical emissions, cost-benefit analysis of oil spill regulation and enforcement; racial disparity in the auto lending industry; and the cost of crime. The Impact of Team Inspections on Enforcement and Deterrence. Muehlenbachs, Lucija, Stefan Staubli, and Mark A. Cohen (2016). “The Impact of Team Inspections on Enforcement and Deterrence.” Journal of the Association of Environmental and Resource Economists, vol. 3(1): 159-204. Alexander, Cindy R. and Mark A. Cohen (2015). “The Evolution Of Corporate Criminal Settlements: An Empirical Perspective On Non-Prosecution, Deferred Prosecution, and Plea Agreements,” American Criminal Law Review, vol. 52 (3): 537-93. Ambec, Stefan, Mark A. Cohen, Stewart Elgie, and Paul Lanoie. (2013). “The Porter Hypothesis at 20: Can Environmental Regulation Enhance Innovation and Competitiveness?” Review of Environmental Economics & Policy vol. 7, issue 1, pp. 2-22. Cohen, Mark A. and Michael P. Vandenbergh. (2012). “The Potential Role of Carbon Labeling in a Green Economy,” Energy Economics, vol. 34: S53-63. Cohen, Mark A. (2012). “Imperfect Competition in Auto Lending: Subjective Markups, Racial Disparity, and Class Action Litigation.” Review of Law and Economics vol. 8, no. 1 (21-58). Cohen, Mark A. and W. Kip Viscusi. (2012). “The Role of Information Disclosure in Climate Mitigation Policy,” Climate Change Economics vol. 3, no. 4, pp. 1250020:1-21. Piquero, Nicole Leeper, Mark A. Cohen and Alex R. Piquero. (2010). “How Much is the Public Willing to Pay to be Protected from Identity Theft?” Justice Quarterly 28(3): 437-58. Cohen, Mark A. and Alex Piquero. “New Evidence on the Monetary Value of Saving a High Risk Youth.” (2009). Journal of Quantitative Criminology. 25(1): 25-49. Cohen, Mark A., Roland T. Rust, and Sara Steen, "Prevention, Crime Control or Cash? Public Preferences towards Criminal Justice Spending Priorities," Justice Quarterly (2006). The Costs of Crime and Justice. Cohen, Mark A. The Costs of Crime and Justice (New York, NY: Routledge, 2005); ISBN 0-415-70072-8 (hardback), 0-415-70073-6 (paperback). Cohen, Mark A., Roland Rust, Sara Steen, and Simon Tidd, "Willingness-to-Pay for Crime Control Programs." Criminology 42(1): 86-106 (February 2004). Brunnermeier, Smita and Mark A. Cohen, "Determinants of Environmental Innovation in U.S. Manufacturing Industries," Journal of Environmental Economics and Management 45(2): 278-93 (March 2003). Konar, Shameek and Mark A. Cohen, "Does the Market Value Environmental Performance?" Review of Economics and Statistics 83 (2): 281-9 (May 2001). Why do Corporations Become Criminals? Alexander, Cindy R. and Mark A. Cohen, "Why do Corporations Become Criminals? Ownership, Hidden Actions, and Crime as an Agency Cost," Journal of Corporate Finance, 5 (1): 1-34 (March 1999). Cohen, Mark A. "The Monetary Value of Saving a High Risk Youth," Journal of Quantitative Criminology, 14 (1): 5-33 (1998). Konar, Shameek and Mark A. Cohen, "Information As Regulation: The Effect of Community Right to Know Laws on Toxic Emissions," Journal of Environmental Economics and Management, 32(1): 109-124 (1997). Cohen, Mark A. "Environmental Crime and Punishment: Legal/Economic Theory and Empirical Evidence on Enforcement of Federal Environmental Statutes," Journal of Criminal Law and Criminology 82 (3): 1054-1108 (1992). Cohen, Mark A. "The Motives of Judges: Empirical Evidence from Antitrust Sentencing," International Review of Law and Economics 12: 13-30 (1992). Cohen, Mark A. "Corporate Crime and Punishment: An Update on Sentencing Practice in the Federal Courts, 1988-1990," Boston University Law Review, 71 (2): 247-80 (March 1991). Cohen, Mark A. "Pain, Suffering, and Jury Awards: A study of the Cost of Crime to Victims," Law and Society Review, vol. 22, no. 3, 1988, pp. 537-555. Cohen, Mark A. "Optimal Enforcement Strategy to Prevent Oil Spills: An Application of a Principal-Agent Model with 'Moral Hazard'," Journal of Law and Economics, vol. 30, no. 1, 23-51 (April 1987). Cohen, Mark A. "The Costs and Benefits of Oil Spill Prevention and Enforcement," Journal of Environmental Economics and Management, vol. 13, 167-88 (1986). Cohen, Mark A. and Adeline Tubb (forthcoming). “The Impact of Environmental Regulation on Firm and Country Competitiveness: A Meta-Analysis of the Porter Hypothesis.” Journal of the Association of Environmental and Resource Economists.